The regular season is finally here and now is where the rubber meets the road. There are a lot of things that this Colorado Avalanche team need to answer. Will the defense be better? Will this be the year Varlamov/Johnson/Stastny break out? 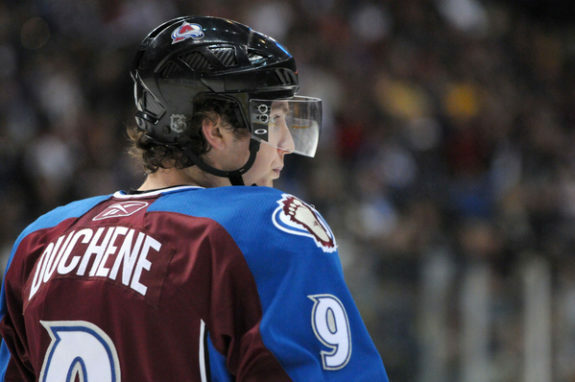 Can Matt Duchene carry over his fantastic season from a year ago to this year? 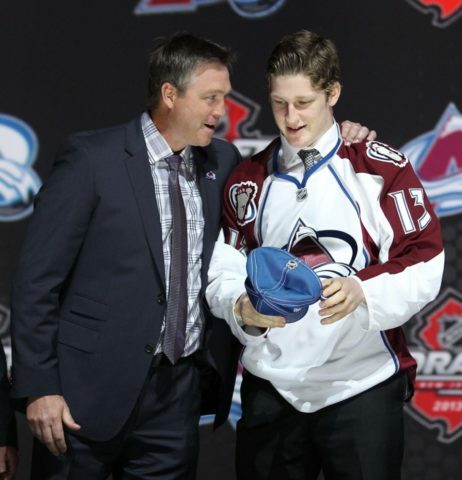 Will Nathan MacKinnon light the league on fire? 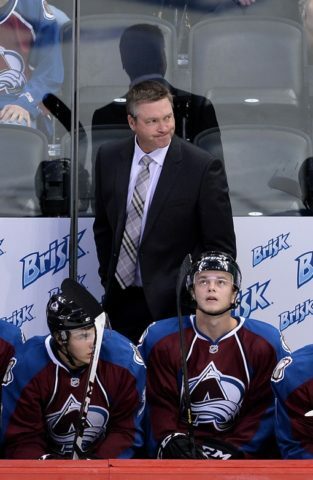 Well, here are some big predictions for the Colorado Avalanche in the 2013-2014 NHL Season. That’s right, I’m jumping right on the Stastny wagon to start this off. Paul Stastny started off his time in the NHL by being a 70 point machine, but has had issues repeating that in the past few seasons. In the last three seasons, Stastny has only managed a high of 57 points. I don’t see it as any coincidence that Joe Sacco’s arrival as coach happens to coincide with his decline in point production. His system simply didn’t work with Stastny’s style of play; plus, Stastny never really had any type of consistent line-mates over the past few years, where he had to drag around David Jones who was either scoring a ton or was completely invisible. This season, Stastny has two line-mates who play a strong possession game and can create offense in Alex Tanguay and Gabriel Landeskog. Tanguay is one of the best passers in the league and Landeskog plays a strong power forward game. This is a line that will be able to run opponents around in the offensive zone, hold onto the puck and will create a lot of scoring chances. Let’s also remember that the NHL has increased the room behind the nets this season, and that is where Paul Stastny does his best work. Stastny operates fantastically behind the net, setting up his teammates in front of the net. He also manages to sneak in front of the net from this position to puck up rebounds or deflect pucks. This change in rules is only going to help Stastny. With Jonathan Drouin being sent back to Halifax by the Tampa Bay Lightning, it seems that there isn’t nearly as much competition for the Calder Trophy this season. Yes, Seth Jones is still around and you can’t always predict which rookies are going to make a splash, but, as of this moment, Nathan MacKinnon is obviously the favorite. I like MacKinnon for 20 goals and close to 60 points in his rookie year to run away with this award. Semyon Varlamov has had an up and down career. He had solid years while playing for Washington, but had trouble staying healthy. He’s been healthy in Colorado, but has had trouble putting together consistent seasons. This is the season that things are finally going to come together for Semyon Varlamov because of one thing, Francois Allaire. Finally having the appropriate support in place for him is going to be the biggest thing that will propel Varlamov forward. In a way, Varlamov is a great example of the Colorado Avalanche and the way things are working for the team as a whole. Both have all the tools and skill that are needed to play at a high level and have stumbled over the past couple of years. It’s time for both the Avalanche and Varlamov to take the talent that they have and finally begin to live up to it. If Varlamov can’t have success in this situation, or at least start to show a movement in that direction, then the Avalanche will need to look ahead to a different option in their crease. Duchene had a fantastic year a season ago and is going to continue with it this season. Playing with Ryan O’Reilly on his left wing will help him in all scoring stats. O’Reilly gets into scoring areas and can finish plays that Duchene will start and is just as good of a passes as Duchene is. Point totals for both players are going to go up, and Duchene will continue the torrent pace he set last season. Two other things that should happen for Duchene this season as well. He should be given the second alternate captaincy for the team as he is clearly one of the team’s biggest leaders. Second, when he does go off for his big point totals this season, Duchene should be given consideration for the Hart Trophy. A lot of this will also be determined by how well the Avalanche do as a team, but Duchene should be at least in the conversation regardless. The Avalanche penalty kill was so strange a season ago. At home, there was no better team killing penalties than the Avalanche. On the road, you were better off putting a team of girl scouts on the ice to try and kill the penalty, it was that bad. I do not believe that it will be nearly as bad this season, but the preseason has shown that the Avalanche still have a tendency to get into penalty trouble. Discipline is still a struggle for this young team and they can’t continue to put themselves into penalty killing situations because teams are too good to give six chances a game. There will be improvement, but the penalty kill is still going to be something that will cost the team a few games this year. This team has a long way to go before they are a legitimate Stanley Cup contender, but this year is the year where that will begin to happen. The Avalanche are going to be in contention for the playoffs until the last day of the season, but I’m not ready to declare that they will make the playoffs. I won’t be surprised if they do, and by all means they really should, but I think there are enough things that this team still needs to do to improve before they will fully turn this corner and, until I see it happen, I can’t predict that it will.